An inverted yield curve means smaller businesses could lose easy access to credit — and put spending plans on hold or pull back on their hiring. The yield curve, which represents how much it costs to borrow money, has predicted every recession since the 1960s. 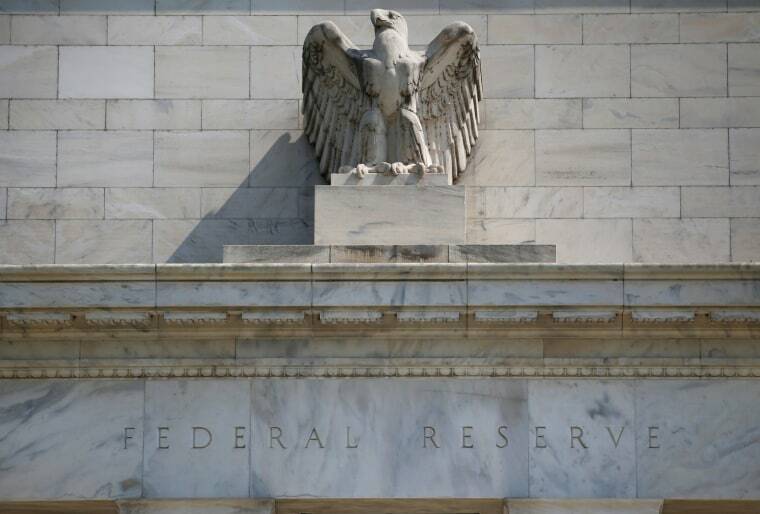 It’s also one big reason why the Federal Reserve, which concludes its two-day policy meeting Wednesday, is under more scrutiny than usual — both by President Donald Trump and by Wall Street. The yield curve marks the difference between how much it costs to borrow over the short versus the long term. Banks make money by borrowing short-term at a low rate, then turning around and lending those funds to businesses, homebuyers, and credit card borrowers at a higher rate. Ordinarily, it’s cheaper to borrow for a short period of time. Think of it this way, said Greg McBride, chief financial analyst at Bankrate.com: If a friend asked to borrow $50 until they get paid at the end of the week, you’d probably be more willing than if they said they could pay you back when they get their tax refund next April. An inverted yield curve means the smaller businesses that drive much of the economic activity in the U.S. could lose easy access to credit — and put spending plans on hold or pull back on their hiring. “For a longer period of time you’re at higher risk of inflation, and also a higher risk of default,” he said. You probably wouldn’t have an inflation issue with your hypothetical $50 loan, but banks making long-term loans have to take it into account along with the default risk. If market participants think an economic boom is on the horizon, the long-term costs of borrowing will go up on the expectation that higher inflation is coming down the pike. Low long-term rates signal a more pessimistic outlook. A flattening yield curve — that is, one that shows long- and short-term borrowing costs coming close to equal — has set some market-watchers on edge because it increases the chance that it will invert entirely. And when the Fed increases short-term interest rates, as it is expected to continue doing, that ticks short-term borrowing costs closer to long-term levels. Is the U.S. heading toward another recession? A yield curve inversion means that it’s more expensive to borrow money for a short period of time than for a long stretch. This upsets banks’ business model and makes it harder for them to turn a profit. “There’s a psychological component or a signaling component, to the extent people think it’s valuable, you potentially have a self-fulfilling prophecy,” said Joseph Lavorgna, chief economist for the Americas at Natixis. Market psychology aside, the math is simple: When banks make less profit on loans, they will lend less, especially to borrowers — especially corporate borrowers — whom they deem riskier. While big companies can go to the bond markets to borrow by issuing their own debt, the small- and mid-sized businesses that drive much of the job market growth and economic activity in the United States have to borrow from banks. “When they lose access to credit or their access to credit is lowered, they put spending plans on hold, they hire fewer people,” Goldberg said. Some economic experts say that this time is different with respect to the current flattening yield curve because short-term interest rates have been at unprecedented lows throughout the recovery, with the Fed only inching forward with increases even as the rest of the economy has barreled ahead. In addition to the long stretch of low interest rates in the U.S., the foreign counterparts of the Federal Reserve in key markets like the European Union and Japan are still in a state of quantitative easing, which makes U.S. Treasury bonds, although low-yielding in nominal terms, attractive by comparison, Goldberg said. “If you’re a foreign buyer of government debt, you’ll be attracted to the U.S. 10-year Treasury because it pays so much more interest,” he said. Since bond prices and yields move in inverse directions, more demand means a lower interest rate. But ultimately, debate over the reason behind a looming yield curve inversion is beside the point. “It doesn’t change the fact that banks still have to borrow short-term and lend long-term. You’re still stuck with the same math,” said Mitchell Goldberg, president of ClientFirst Strategy.